Is this element some kind of Technic connector? I have never seen a piece quite like this. It's unlike any Technic connector I've seen, so I doubt if that is what it's for. 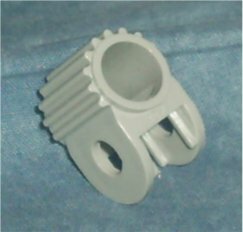 The two facing holes on the sides are standard stud diameter, but the tube on the top has angled faces, and doesn't look like any standard Lego width. I'm starting to wonder if it might be part of some missile launching set, but if not, what kind of piece is it? Hooray, I get to answer a question! This is not a piece for launching missiles. 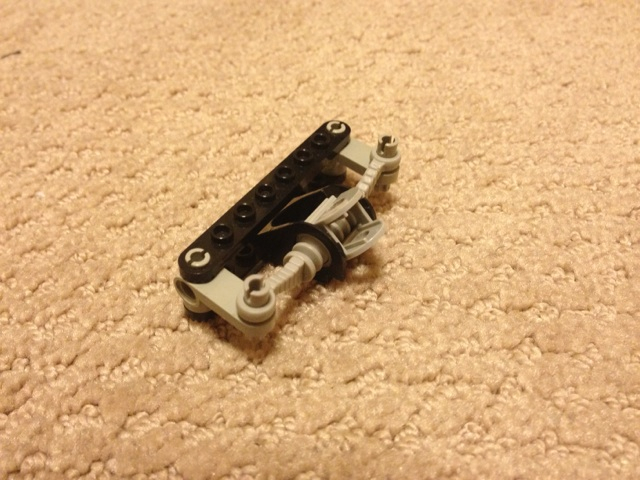 It's actually part of an old steering assembly from some late 80s and 90s Technic sets. The teeth on the outside of the piece help lock it into one of several different inclinations, so you can vary the angle at which the steering column exits the assembly. Not the answer you're looking for? Browse other questions tagged technic part-identification or ask your own question. Is this piece some kind of rare/modified 200? What is this upside down roof peak or boat hull? What is this notched or angled 1x2? Can someone please help me ID these parts? 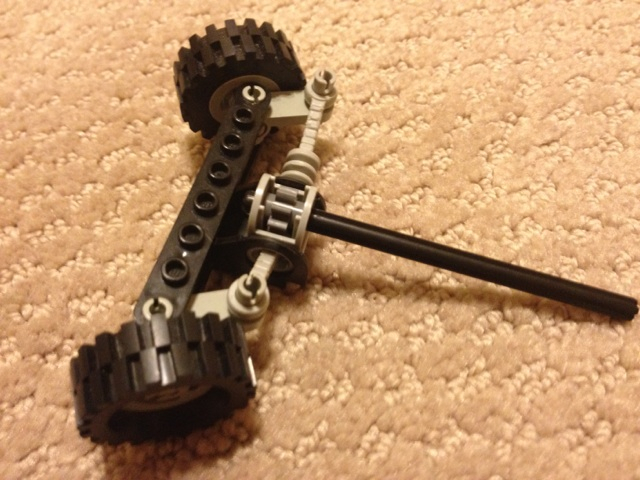 What is this technic axle? 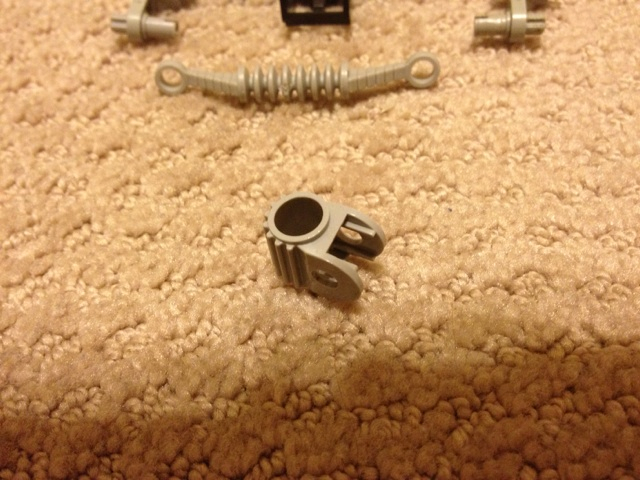 What is this technic pin? What is this element ID? Grey Clone-Brand Brick With a Single Short Tube on the Bottom?